We have been hearing a lot about BB creams since last year and now here is our very own India's brand Lakme who came up with CC creams also known as Complexion Care cream which they also call as your instant skin stylist. 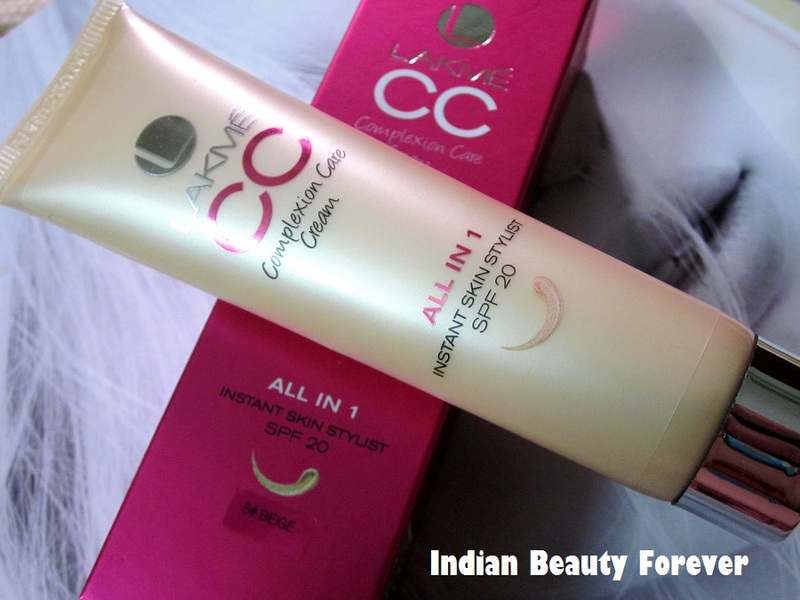 I have also reviewed Avon CC cream, here. Just like BB’s these CC creams concept is also popular in Korea. 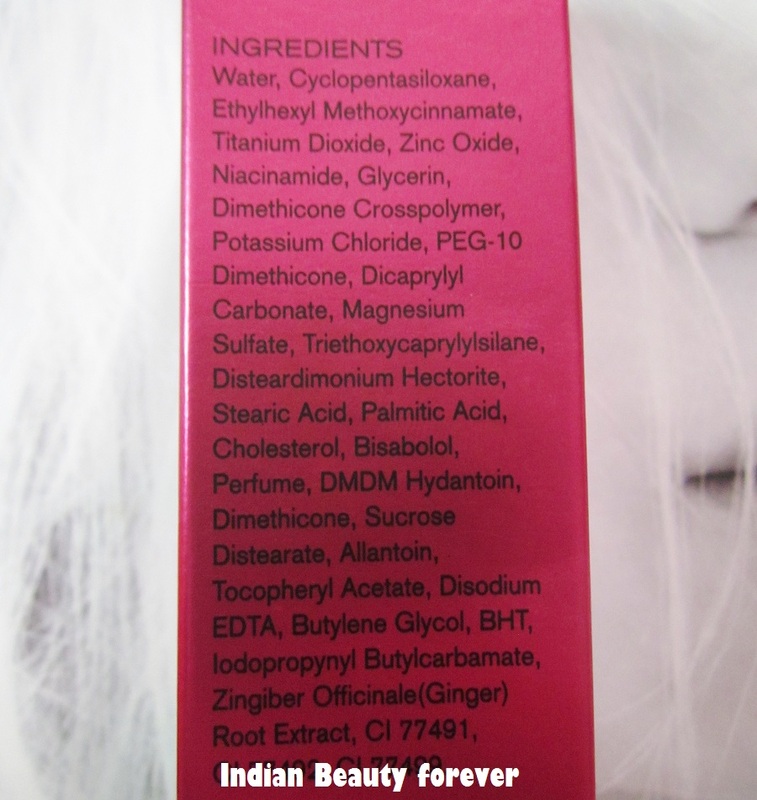 This CC cream from Lakme is priced at 250 INR (shelf life is 24 months) and there are two shades to choose from i.e. Beige and Bronze. 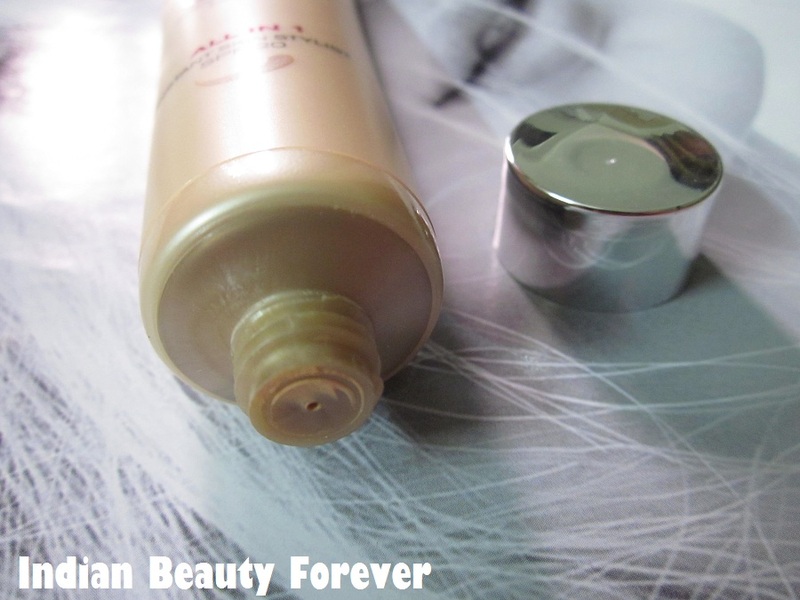 Anyways, this complexion care cream is said to be Instant skin stylist and has got SPF 20. It brightens, moisturizes, protects, even tones the skin, Conceal and freshens. I have this shade in Beige which is a very light shade, I was wondering, it’s not going to suit me and will look ashy. By the way, I have fair skin with pigmentation around the jaw line. So, the foundation that matches exactly for my entire face, looks ashy on my jaw line So, I have to use a shade or two darker there. And with this I thought, leave the jaw line, it’s going to look ashy for the rest of the face well. It was too light to match my color! Still, I went ahead and tried it. It is thick in texture just like the foundations and unlike tinted moisturizers. It smells good!!. I apply it with small dots all over my face and then blending it with a flat top brush or my fingers. Put some more where ever required. You can see the pictures where I have used only this CC and no makeup or compact. I tried blending it and it looked so ashy!! I knew it! But then with more blending and within 30-40 seconds, it vanished into my skin. It was actually a pleasant surprise. There was no greasiness but still skin felt moisturized. I have combination skin with oily nose and chin and normal cheeks and forehead. So, I am pretty sure. For normal skin, it will be Ideal just like most of the products (normal skinned people are really blessed!) And for dry skin you may have to put some moisturizer before using this. My oily areas soon got oily again so, if you have very oily skin then you may skip this or you mattify with a compact. It has definitely even toned my skin and covered minor flaws though keep in mind it gives only sheer coverage! It isn’t waterproof but if you splash your face with water and pat dry then I think it will be still there. I will buy the shade in bronze for my jaw line soon which is a shade darker than the rest of the face. I also noticed that if we use a primer before this then oil is controlled for around 4 hours which is really good. 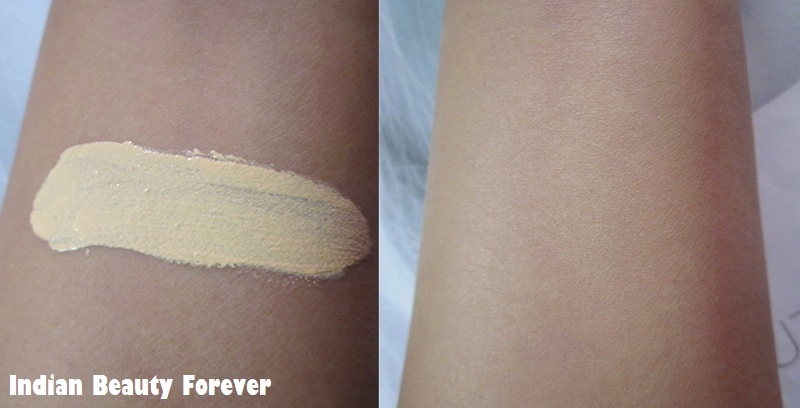 I tested it with and without primer and without primer, oily areas were oily again within 2 hours. So, you can decide whether to go for this or not as per the skin type! If you are a college goer then, you may try it and make sure to test which color will suit you. If, you are fair as beige is very light but it gradually transforms and becomes your skin color and bronze can work on medium to dusky I suppose. 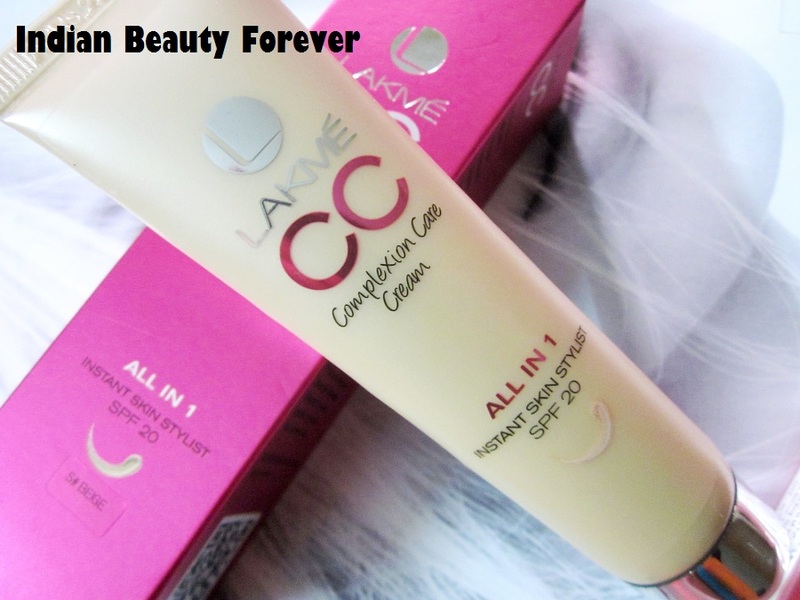 Let's wrap up with the pros and cons of this CC cream from Lakme. Availability should be an issue. It is available offline and online, counters, drugstores etc. Blending can take a bit longer but then the ashyness is gone completely. Has not break me out yet! If you have dry skin, may be you will need to moisturize the very dry areas as it gives moisture but up to some extent as I said. Lakme CC cream is an affordable sheer coverage cream that can give you an even toned skin though It’s thick and takes time to blend. If you like sheer coverage creams and tinted moisturizers, then yes, you can give it a shot, very oily skinned people may skip this as oily parts gets oily after some times. Same here even I had to use compact but here I skipped for the review purpose. well explained ...loved the review n its effect..
You have explained it very well Niesha, Nice review. Certainly its perfect match for your skin. I have not had any good encounter with BB cream, even those from Korea because there seem to be only one shade and its too white for me. I know! shade selection is limited and also most of them are too white for our skin tone! I like Pond's BB cream which has more yellow tones to suit majority of skin tones. Good to hear! I like this too. The CC cream is good for coverage and finish but setting with Presses powder is must!! Thank you so much Sandy!! I agree with all the points u made here.. and yes it needs to be set with a powder !! Looks like you're going to get plenty of use out of this! I do love how it blends in so well to match you although its light against your arm swatch! I've lots of foundations to use but I did buy a new bb recently which is sooo pigmented its like paint! I will be reviewing it in the future! Great review! IT is very light in color which made me think it's going me make me ashy but once blended it kind of matches to my skin tone! loved the review and it might be too oily for me but it seems like a good product. Thank you Coral! :)if you have oily skin then you should skip it as I have combination skin and the oily areas like nose and chin gets shiny after 2 hours while rest of the face was okay. 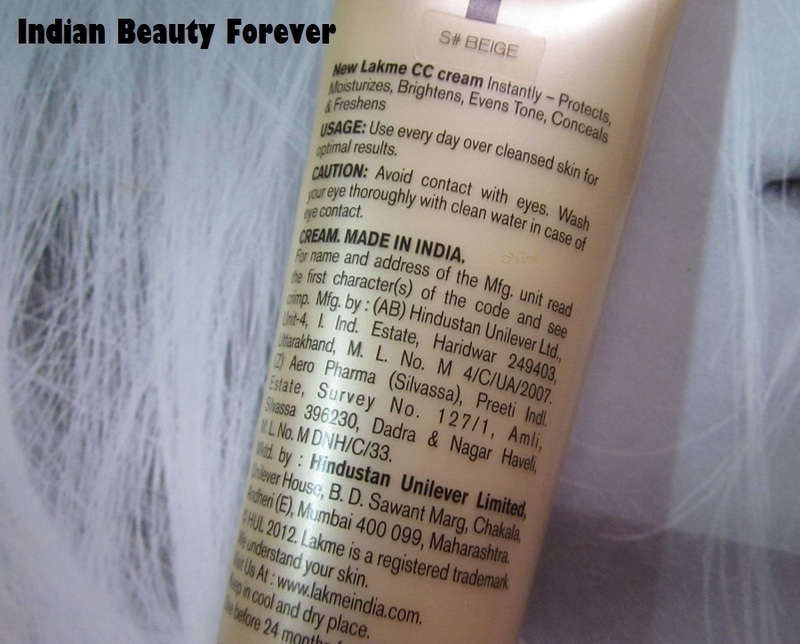 You have such great skin Niesha :) Tips please <3 Sadly, Lakme CC cream didn't impress me much. Nice to see you in person Niesha.Its Anu from Beautykafe. Your eyes r so pretty and complexion too. Even I had this in my mind that it will be good for dry skin. :) Dry skin doesn't need powders as then skin can look dryv and flaky since powder will absorb moisture. This is the reason why I recommended it to my college going cousin who has sry skin. :) Thanks for the sharing your thoughts. Nice review! I quite like the CC cream too. It is pretty good for everyday use isn't it? Thank you Swati! Yes, you are right as it gives sheer coverage, it can be used daily. It gave me a good coverage. but the Beige is too light for my skintone. I have to blend like anything to make it work. But surely I am getting the bronze. It gives me good coverage too since I need sheer coverage. Too much coverage can make my skin look artificial and made up! Even I want to get bronze now, so that I could mix it up with this and use for my jawline which is darker than the rest of the face. I will buy bronze for the jawline and when I get tanned. there was only a vellvette box post! All products shades also work differently for individuals, this CC cream (beige) does not look ashy on me but the bronze one looks darker and I have medium skin (definately not fair)! haa! I think you are right! It's becoz the beige shade is too light but then gets darker and matches our skin tone while bronze at first look like our skin color but when blended it gets even darker than we actually are.. so they should be chosen not by the swatch but after blending completely. I'm using it too..Perfect for everyday wear..But only prob is the shades.. I agree Swati! :) It is good for everyday use! U look pretty in before pic too <3 This seems good. Great review! Thank you Megha! <3 It is good for everyday use if you dont have too oily skin. Good detailed review. Love the way it blended.